48 Hours in San Francisco: Wha..
Presenting ‘Jaco, Costa Rica’ according to blogger Roobens Fils of Been Around The Globe. Traveling to Jaco, Costa Rica means that you will be traveling to a destination that is known for having endless summers. Put on your shorts, pack light and don’t forget your sandals. There is pretty much no bad time to visit Jaco, Costa Rica. If you decide to go in the rainy season (September, October, November) then you can enjoy a milder temperature, sunshine in the morning with possibilities of some serious rain in the evening. Save some money by taking advantage of cheap accommodations in low season. If you come in the summer season which starts in December you can enjoy an amplified party experience with crowds that follow the beautiful sun. 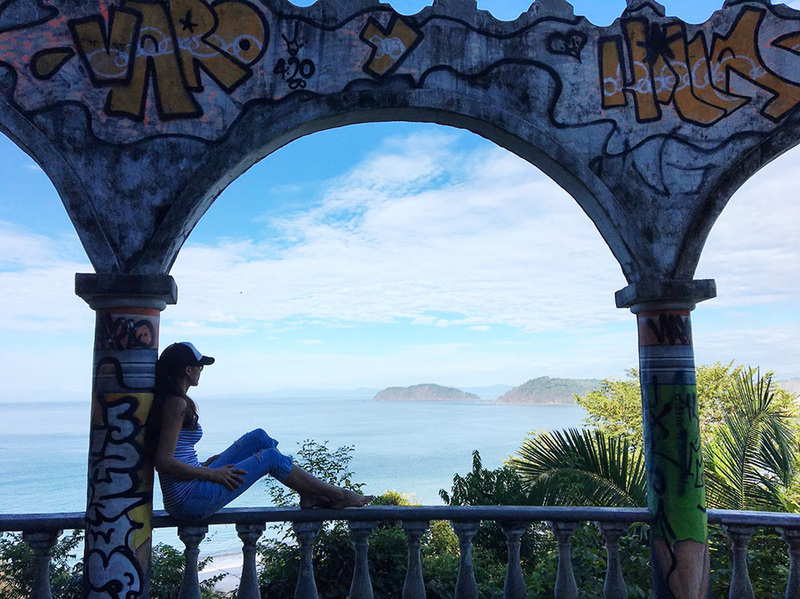 The only 2 really important words when visiting Costa Rica are “pura vida,” which translates to “pure life.” You will hear this every day and the words perfectly explain the vibe in Jaco. I would recommend spending 4 days or more in the area. 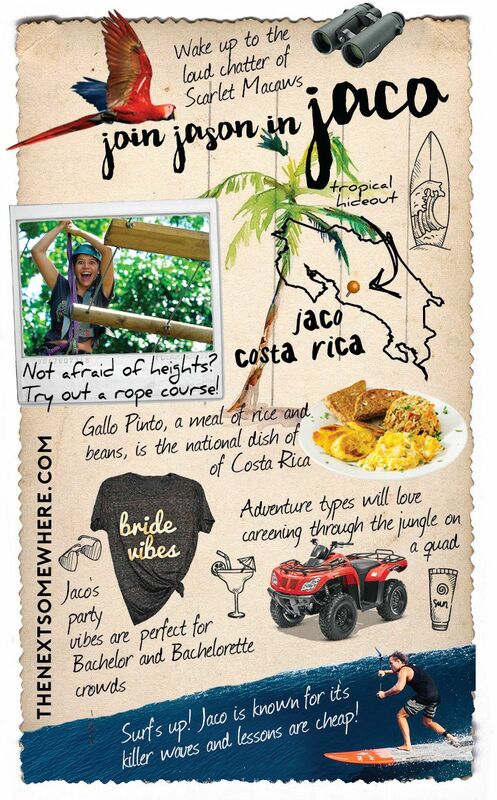 There is tons to see and do in Jaco, Costa Rica. Let’s take a look at the top five! One of the best free things to do in Jaco is to hike up Mirador Mountain. The word mirador translates to view point or lookout and what an amazing view it is. The view is only part of what makes this hike so cool. At the top of the mountain, there’s an abandoned boutique hotel. The construction was only half completed when the permits were pulled and the owner died shortly after. Since then, the road has been open for the public to go up and enjoy the view. Graffiti artists got their hands on the building and their artwork is amazing. You can walk from downtown Jaco easily, or even drive if you have an all-wheel drive vehicle. How to get there: To get there head south of Jaco on the Costanera Hwy, a little ways past Jaco Ropes, you will see a gas station. Head up the road across from the gas station, there are two roads, take the one further to the south or the right one if you are looking at it from the gas station. Once you get to the top, you will see Trillos Colorada, some hiking and mountain biking trails with great views. Look out onto the entirety of Jaco from the balcony of the abandoned graffitied hotel. Jaco is a great place to learn how to surf. You can rent a board for around $15-$25 a day and there are numerous places to book lessons. 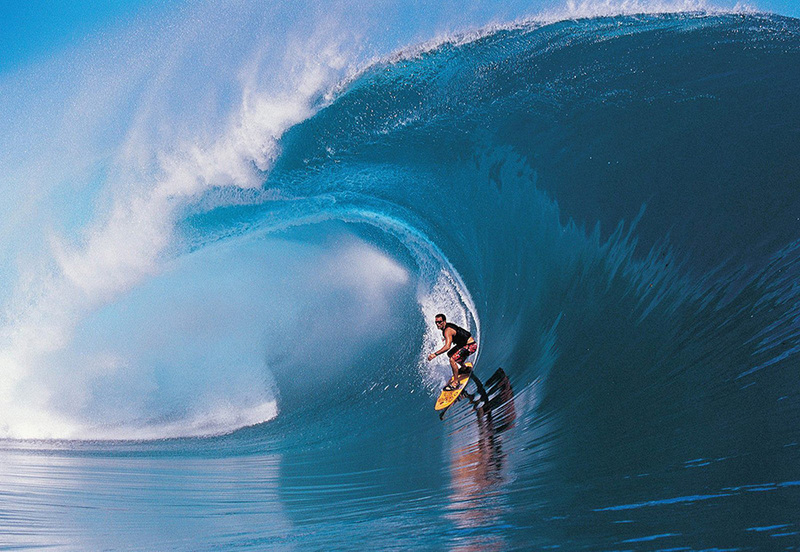 If surfing isn’t your thing, then you can try boogie boarding or stand up paddle board. The south end of the beach is best for beginners and the north end is a little more advance with waves that have steeper pitch and close out faster. If you are already a pro, then you should head 7.5 km south to Playa Hermosa, translated this means “Beautiful Beach”. The black sand beach is spectacular and the place is world renowned for big waves. This is where all the big surf competitions happen in Costa Rica and there is a local competition that brings out some pros out every Saturday afternoon. Jaco is one of the best sites for surf and sand around the world. Credit Go Costa Rica Vacation. The area has an abundance of tours to enjoy. 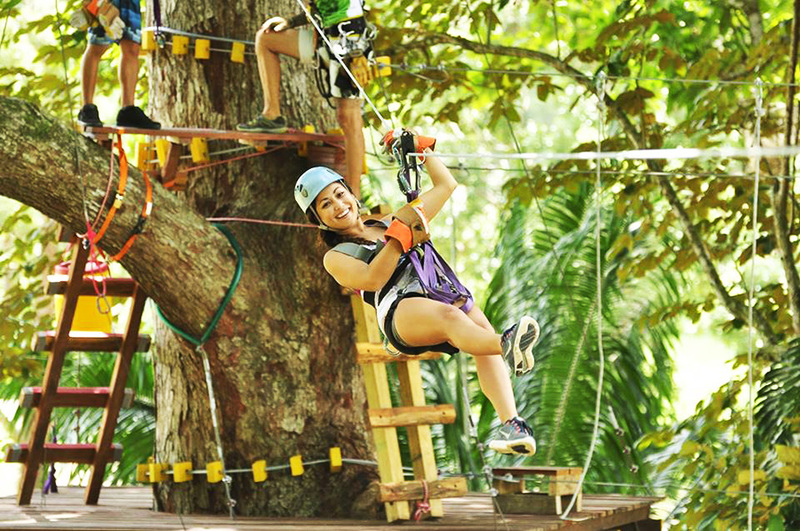 From a relaxing horseback ride or jungle wildlife tour by way of quad, to rappelling down a waterfall or flying through the air on a ropes course, you won’t be at a loss for fun. Manuel Antonio is only about an hour south where you can relax on white sand beaches with the monkeys and sloths. You can also go kayaking in the estuary or the sea and the fishing is also amazing for those looking to catch dinner. Not afraid of heights? Maneuver your way through epic ropes courses for a different look at Jaco! Credit Jaco Ropes. Jaco is well known for having a happening night life. It’s kind of like a relaxed version of Vegas with the bonus of being on a beach, so it’s a popular place for bachelor and bachelorette parties. The town also has some really cool options for backpackers, so there is always a young traveling crowd to party with. The town is small so you can walk around and find the right environment for you. Fun fact: The locals come out on Friday and Saturday from San Jose to party the night away. Jaco is a great place to have fun with large crowds. As mentioned before Jaco has some really awesome options for backpackers. The two newest and most popular hostels are Selina Jaco and Room 2 Board. Both are new with clean accommodations from dorm beds to private hotel rooms. Selina is right on the beach and has a really chill vibe. They also offer really good deals on all the tours in the area. Room 2 Board is to the south and only ¼ block from the beach. You get a really nice ocean view from their top floor. The pool and projection screen are really popular. There are a number of fancy hotels for those looking to splurge a little bit and tons of vacation rental homes to rent. 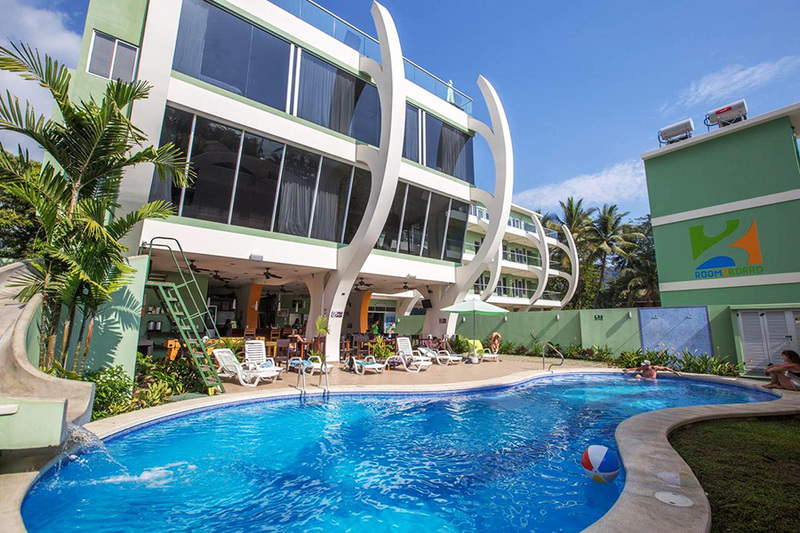 A good website to visit is Vacation Rentals Costa Rica, offering deals from locals and is probably your best bet if you are traveling in a group or with family. There is also an eco-village not far away that offers organic food. Where? Selina Jaco is located on Calle Alice with rooms priced at $12-80 per night. Room 2 Board is 10m south of Bahia Azul on the beach with rooms priced at $21-89 per night. Room 2 Board’s exterior is surfboard inspired. Credit Booking.com. 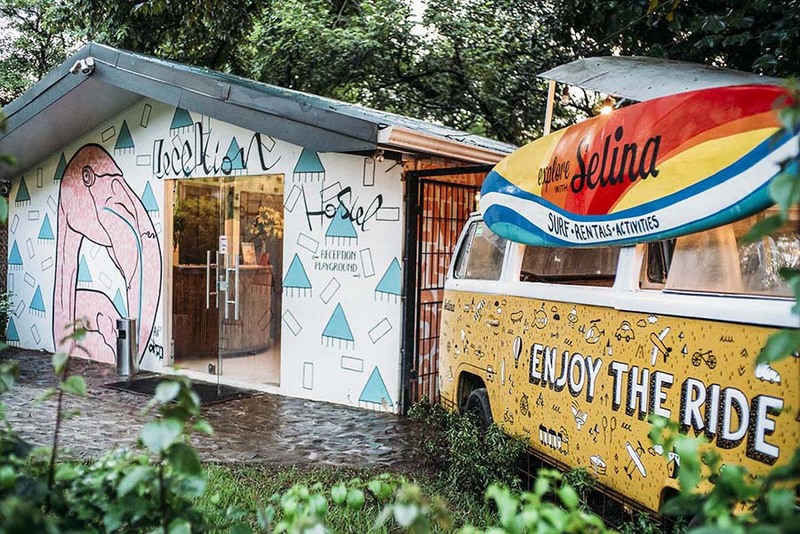 Selina Jaco has bright rooms and a cool campout vibe. Credit Selina Jaco. For eating you need to go to GREEN ROOM (Cocal Casino Street, in front of ICE), a favorite for live music. For a cheap eating option in town and local food go to SODA JACO RUSTICO (1/2 block off ofJaco Beach). On the way to Mirador Mountain, you will see A SKATE/BMX PARK NAMED #10CIO ON THE RIGHT. A local professional rider practices there and if you are lucky you can catch a show. His name is Kenneth Tencio and he is currently number 3 in the world for BMX, sponsored by Red Bull.  Special thanks to Jason for revealing his insider tips for Jaco. What do you want to do most in Jaco, Costa Rico? Comment below! Jason Mueller is Canadian living in Costa Rica who enjoys traveling and help as many people as possible along the way. When he’s not working on his passion projects, Jaco Ropes and Vacation Rentals Costa Rica, you can find him chilling at the beach or up in the mountains on an adventure. Woow, what a great comprehensive list of article with amazing photography. I would like all of those things. Thanks for sharing this great tips.